Recently, VaporFi has made a great effort to establish relationships with e-cigarette bloggers by sending out samples and asking for the writers’ unfettered opinions. I have gotten to know the company’s product lineup very well as a result. and I have been consistently impressed by VaporFi’s efforts in obtaining the best products from the world’s e-cigarette manufacturers and presenting them in packages that provide a real sense of value for money. Every e-smoker is different, though. Carrying a balanced product lineup requires a company to offer something for those who simply want the best — regardless of the price. With a base price of $129.99 for the device only or $179.99 for a full starter kit, that’s exactly what the VOX TC is. It is the mid-engine, two-seat roadster of VaporFi’s lineup, ready to compete head-on with the likes of the ProVari P3. View the VOX TC kit at the VaporFi website. It costs $179.99 and includes your choice of a tank system, rebuildable atomizer or hybrid tank/RBA. My link includes an embedded coupon code good for 12% off for first-time customers. You can also buy the VOX TC as a standalone device for $129.99 and use your own tank. 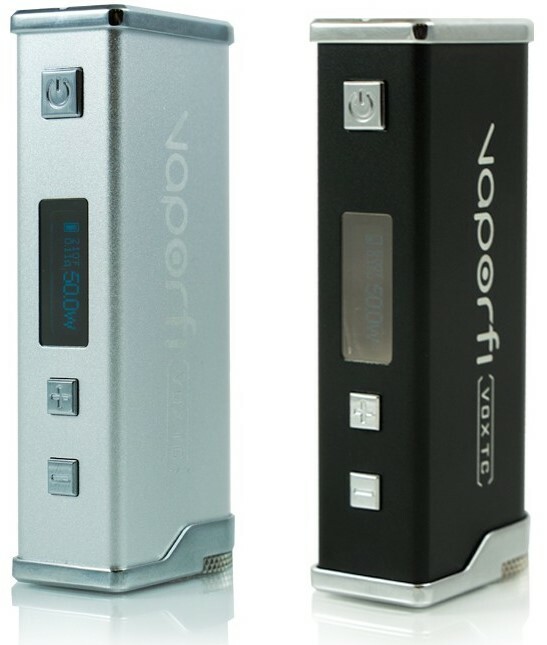 The VaporFi VOX TC is a single-battery, stainless steel box mod capable of reaching a power level of up to 50 watts or 8.5 volts with a current of up to 22 amps. The high amperage limit of the VOX TC allows it to support sub-ohm attachments such as rebuildable atomizers, which is something that many mods such as the ProVari cannot do. It includes a 35 amp, 2500 mAh battery that you can charge via USB or a standalone charger. This is a device intended for experienced e-smokers who understand the basics of vaping, have owned an e-cigarette or two and want to upgrade to a device that provides the absolute best vapor production that the industry has to offer. If you aren’t sure where you fall in the vaping spectrum, I’ll be explaining some of these potentially unfamiliar terms in my VOX TC review to help you decide. First, a word about amps. In electrical terms, amperage describes the amount of electricity flowing through a circuit in any given length of time. Since I’m far from being an electrician, the Wikipedia article linked to above can provide more information if needed. When you shop for e-cigarette mods, you’ll find that electronic mods have amperage limits that prevent the use of low-resistance attachments under high-voltage conditions. The ProVari P3, for example, tops out at 5.5 amps, while the Lavatube limits itself to 3.0 amps. Above these levels, the mod will lower its voltage drastically or display an error message. These over-current limits, which are now considered relatively low, have caused some electronic mods to lose popularity within the vaping community. 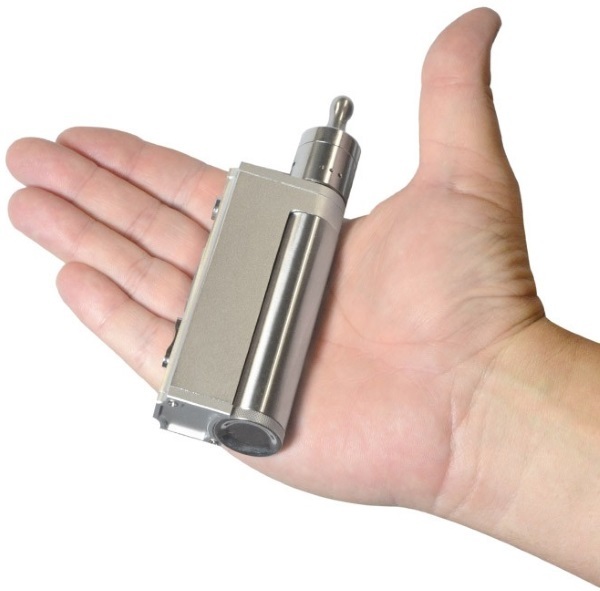 Purely mechanical mods, meanwhile, have become more popular. A mechanical mod is nothing more than a switch that causes a battery to fire. It can’t display error messages, can’t lower its power level and doesn’t care whether the attachment you’re using is 3.0 ohms or sub-ohm. This makes a mechanical mod ideal for someone who understands how to wrap atomizer coils with different resistances until he or she achieves the vapor production required. Unfortunately, mechanical mods also lack safety features of any kind. In an extreme case, a combination of faulty coil design, an incorrect or counterfeit battery and cloud chasing can lead to a violent and destructive result. People can and do use extreme vaping rigs every day without causing harm to themselves, but I have avoided discussing or recommending this kind of e-cigarette usage because I believe it is only for those who truly understand the principles of electricity. So, the VaporFi VOX TC mod is a compromise. With a 35 amp battery and a 22 amp over-current limit, the VOX TC won’t allow you to vape with a coil that’s so low-resistance or a wattage setting that’s so high that the battery could be discharged unsafely. It also won’t let you use a temperature control coil in wattage mode — something that could spell instant doom for a mechanical mod. However, it will happily accept coils down to 0.1 ohms and generate vapor clouds like no ProVari user has ever seen. 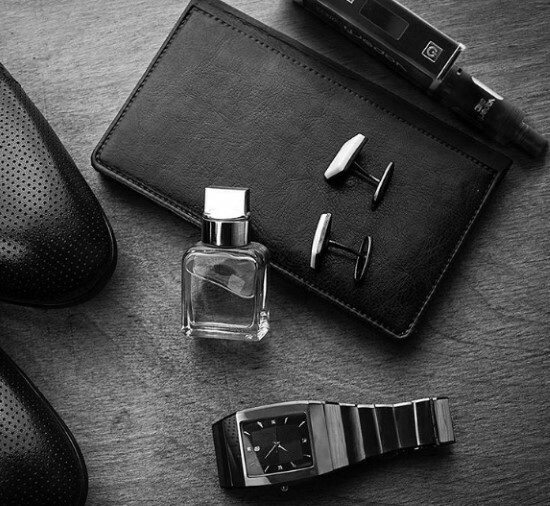 Upon opening the VaporFi VOX TC, you may need to do a little tinkering. The device has a copper contact point in the bottom cap of the battery compartment. It is reverse-threaded, which means you’ll need to turn it clockwise to raise it. Out of the box, my VOX TC battery wasn’t seated firmly and I had to adjust this connector until the battery stopped rattling. The battery also arrived without a full charge. The VOX TC charges via a USB port on the side. The instruction manual states that the VOX TC isn’t intended to be used while charging. However, I am able to do so without any problem. My guess is that the manual includes this statement because under some conditions, the power draw will exceed the rate at which the battery charges and the battery will never top up fully. As I mentioned above, the VOX TC mod has a number of safety features to help prevent unsafe operation. When the battery is first installed, the device will be locked. You’ll need to press the fire button five times in quick succession to unlock it, and it would be wise to lock the VOX TC any time you’ll be travelling with the device in your pocket. Nevertheless, I find all of the device’s buttons to be quite firm and resistant to accidental presses. The other safety features of the VOX TC include a volt limit of 7.5 volts and a maximum current of 22 amps, as well as reverse battery protection, short circuit protection, temperature monitoring and a large heat vent on the bottom of the device. Power and maximum temperature adjustments are made with the two small buttons under the display. My VOX TC review kit included the VaporFi Volt Hybrid Tank, and I’m writing this review in that context. The Volt tank is pre-configured with a 0.5-ohm atomizer coil, so that was what I tried first. In short, I was bowled over. The vapor production far exceeded any combination of device and attachment I had ever tried, and within three puffs I was quite dizzy. I have since adjusted the nicotine strength of my e-liquid as a result and am now vaping at a strength of 4-5 mg rather than 8 mg. As my body adjusts, I intend to lower the nicotine strength further. I received my VOX TC mod in perfect condition. All of the parts fit together seamlessly and I am unable to detect any nicks, scratches or other defects. The threads are perfectly machined and twist smoothly without any hang-ups. I find the quality of the workmanship every bit as good as that of the ProVari P3, which costs significantly more while offering less performance. The only problem I have ever encountered with the VOX TC was my own fault; I failed to notice that the bottom battery cap had an adjustable contact point and this initially caused the battery to rattle around in the device. As such, it wouldn’t power on or charge. A quick adjustment resolved this issue and the VOX TC has performed flawlessly for me ever since. Because of the low resistance of the coils included with the Volt Hybrid Tank, I use the VOX TC at relatively low power settings that rarely exceed 16 watts. Above 20 watts, the vapor becomes too intense and I simply don’t enjoy it. Above 30 watts, the Volt Hybrid tank can’t take in e-liquid quickly enough and I start to get “dry hits.” I have no doubt that the VOX TC can reach the stated maximum of 50 watts, as long as your setup doesn’t exceed the maximum current of 22 amps. I have no reason to try pushing the VOX TC that hard, though. While I once believed that there was no such thing as “too much vapor” for me, I have since discovered that I actually do have a limit. You might not have a limit, though. If you push the VOX TC as hard as it’ll allow, you may find that the battery doesn’t last all day. In that case, you may want to grab a spare; VaporFi sells the 35 amp, 2500 mAh VOX TC battery for $19.99. I wouldn’t suggest buying anything else unless you have a solid understanding of its capabilities — most common batteries for e-cigarette mods have a maximum current of around 10 amps. With my wattage setting and usage pattern, I find that one battery lasts all day. I simply use the VOX TC while connected to a USB port during the day and disconnect it at night. It hasn’t died on me yet. The VOX TC is the latest evolution in a line that began with the VOX 50, a 50 watt mod with a detachable battery tube. The VOX 50 was heavy on capabilities, but some found it a little lacking in durability. For example, dropping the VOX 50 on a hard surface could knock out the small screws holding the battery tube in place. The VOX II added an internal battery compartment to prevent that issue. In addition, the VOX II added a spring-loaded 510 connection and five configurable memory settings. You’ll find a more in-depth comparison of the VOX II and VOX 50 below. The VOX II, while feature-rich, lacked the temperature control functionality found in many more expensive mods. It could only drive standard kanthal coils, and adjusting the wattage was the only way to change the vapor production or temperature. When VaporFi added temperature control functionality to the VOX lineup, they did so with a completely new device called the VOX 100 which was priced about the same as the VOX 50 had been. The VOX II, meanwhile, was lowered in price. The VOX TC continues this evolution by adding temperature control functionality to what used to be the VOX II while keeping the price the same. So, how does temperature control work? First, it requires a tank or atomizer made from a specific material. The VOX TC is compatible with nickel and titanium coils. Next, you’ll set a maximum temperature of 600 degrees Fahrenheit or lower. Finally, you’ll select a power level in watts. The power level will determine how quickly the coil reaches the temperature limit. When the VOX TC reaches its temperature limit, it’ll reduce its wattage automatically until you release the fire button. Temperature control has the potential to make vaping a lot more pleasant. If you’ve ever experienced a try hit because you forgot to add e-liquid to your tank or atomizer, you know exactly what I’m talking about. That harsh burning sensation that you experience when your coil is dry happens because you actually are burning your wick. If you’re using a temperature control coil, though, the VOX TC detects the sudden increase in temperature and cuts off the power. Many of the most popular e-cigarette tank manufacturers are now making nickel and titanium coils for their most popular tanks. That may mean that you can get the VOX TC, drop a temperature control coil into your favorite tank and start vaping with temperature control functionality right away. Alternatively, you can bundle your VOX TC kit with a temperature control tank. Some people find that switching from a kanthal coil to a nickel or titanium coil makes e-liquid taste a little different. I had a similar experience when I tried temperature control vaping for the first time, but I quickly got used to it and stopped noticing a difference. If you try temperature control coils and end up deciding that you prefer kanthal, it’s fine — the VOX TC works with everything. VaporFi replaced the older VOX 50 mod with the VOX II in 2015. If you own or have heard of the VOX 50, you might be interested to learn how the VOX 50 compares vs. the newer VOX II. The first — and most important — difference is that the VOX II quite simply features a much better industrial design than its older brother. The VOX II is smoother, lighter and feels much nicer in the hand thanks to its gently rounded edges. In spite of the lighter design, the VOX II is actually much more solid and will tolerate being dropped much better than the VOX 50. This is because the VOX II is a single unit, while the VOX 50 had a detachable battery tube. In the VOX 50, the top threading for the battery tube was attached to the main body of the vaporizer with two small screws. A couple of drops on a hard surface would be sufficient to detach these screws, and putting it all back together was a complicated process. The improved design of the VOX II prevents this from happening. The battery tube of the older VOX 50 was a potential point of failure. As I mentioned above, the VOX II also has five configurable memory settings that allow you to cycle between your favorite wattage levels simply by pressing one of the adjustment buttons a few times. The VOX 50 didn’t have the ability to save any settings when the battery was removed. For the VOX II, VaporFi also improved the design of the 510 connector at the top of the device. The VOX 50 had a reverse-threaded screw that required a manual adjustment if your tank wouldn’t seat properly. The center pin inside the VOX II’s 510 connector is spring-loaded and adjusts to your tank automatically. If you’ve visited the VaporFi website, you may have noticed the VOX 60 TC, which has a starting price only $10 higher than than of the VOX TC. So, I’d like to discuss the VOX 60 TC vs. the VOX TC a bit to explain how the two devices differ. The battery is the primary difference between the two devices. While the VOX TC uses a single removable 18650 battery, the VOX 60 TC has a fixed dual lithium polymer battery pack. In general, the fixed battery gives the VOX 60 TC a slightly sleeker overall appearance. The battery life of the VOX 60 TC is also a bit better, and the VOX 60 TC has a maximum power of 60 watts rather than 50. The extra 10 watts doesn’t make much of a difference in practice, but I do like box mods with fixed batteries because I think they look really nice. On the other hand, having a removable battery — as is the case with the VOX TC — gives you the ability to use an external charger instead of a USB charger. It seems to me that using a standalone battery charger might be the safest way to charge batteries, but I personally have a slight preference for the VOX 60 TC simply because I like the way it looks. From a functionality standpoint, though, I don’t think that either device is clearly superior. Buy the one that you like. I have long championed the ProVari as the device of choice for experienced e-smokers. I made the VOX TC my full-time device for about a month in preparation for this review, though, and I have found that I have no desire to go back. In fact, my ProVari P3, outfitted with a Rebel II tank, seems tame in comparison. When I use it now, I feel like I can’t get enough vapor. How’s that for a reversal? Vaping with the VaporFi VOX TC is simply an incredible experience. Since I have finally discovered a device capable of producing more vapor than I want, I see no reason why I’d ever want to use anything else. View the VOX TC kit at the VaporFi website. It costs $179.99 and includes your choice of a tank system, rebuildable atomizer or hybrid tank/RBA. My link includes an embedded coupon code good for 12% off for first-time customers.